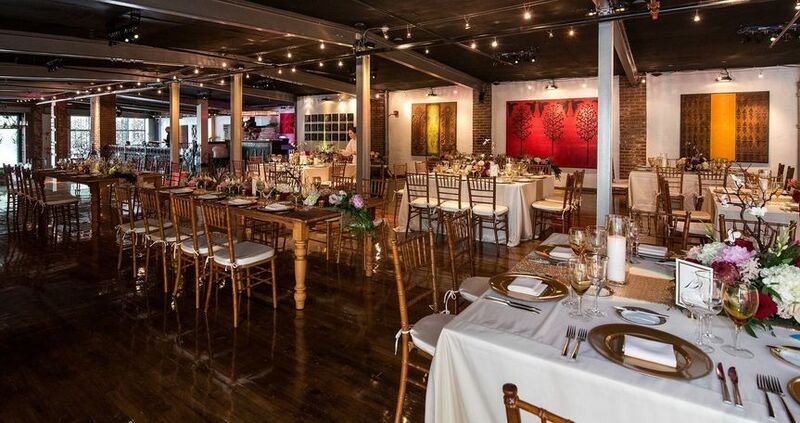 Artesano Gallery is a unique, industrial-style wedding venue located in the heart of Manayunk in Philadelphia, Pennsylvania. 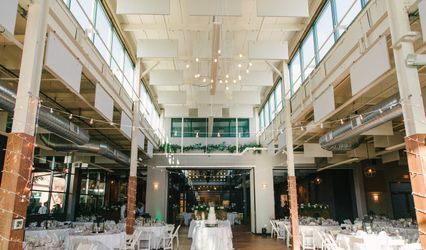 This eclectic art gallery offers couples both indoor and outdoor options for their ceremony and reception. 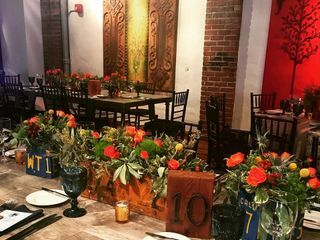 They pride themselves on their delicious, custom designed menus and their experienced sales and event staff who will ensure your celebration is a success. 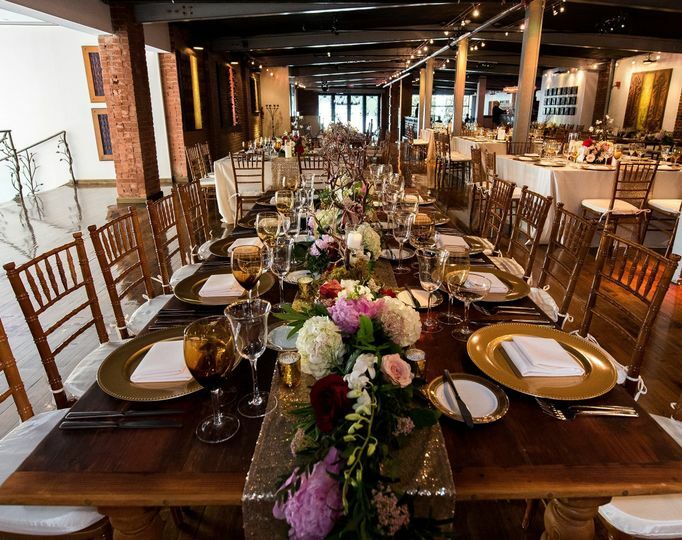 Artesano Gallery is a historic, hidden gem, perfect for those wanting a one-of-a-kind wedding. 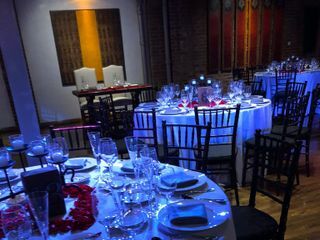 Couples can accommodate up to 300 guests for a cocktail-style event, or 250 guests for a seated dinner at this city venue. 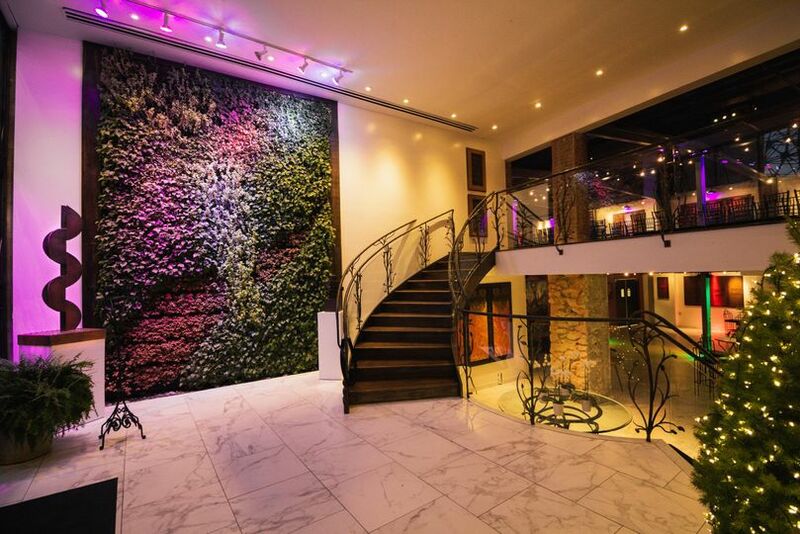 Originally a vacant warehouse, this unique art gallery features beautiful paintings on the walls, and gorgeous sculptures outside. 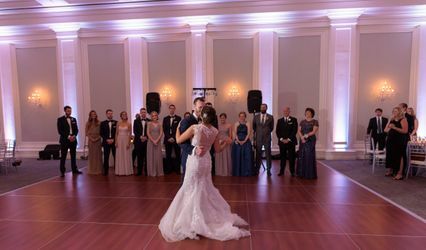 They pride themselves on their ability to host your ceremony, cocktail hour and reception all under one roof. 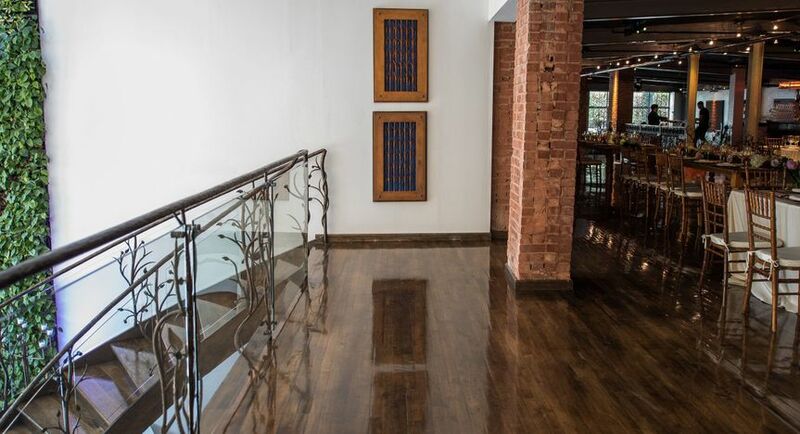 An intricate staircase, wood floors, exposed beams, brick accents and twinkle lights make this space truly special. There are countless photo opportunities with their art installations as your backdrop. 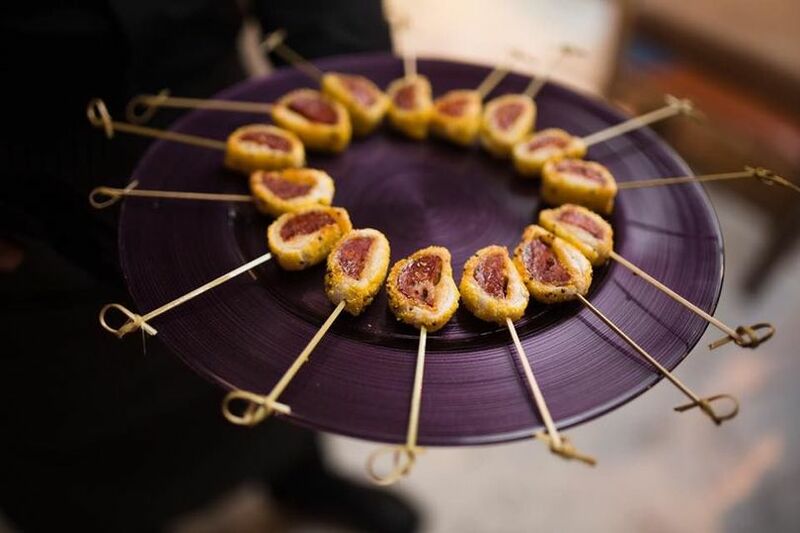 This unique venue works with their in-house and internationally-trained Executive Chef, Kelly Cook, to create the menu of your dreams. You and your guests will experience innovative cuisine mixed with traditional flavors that take into account your individual tastes and preferences. 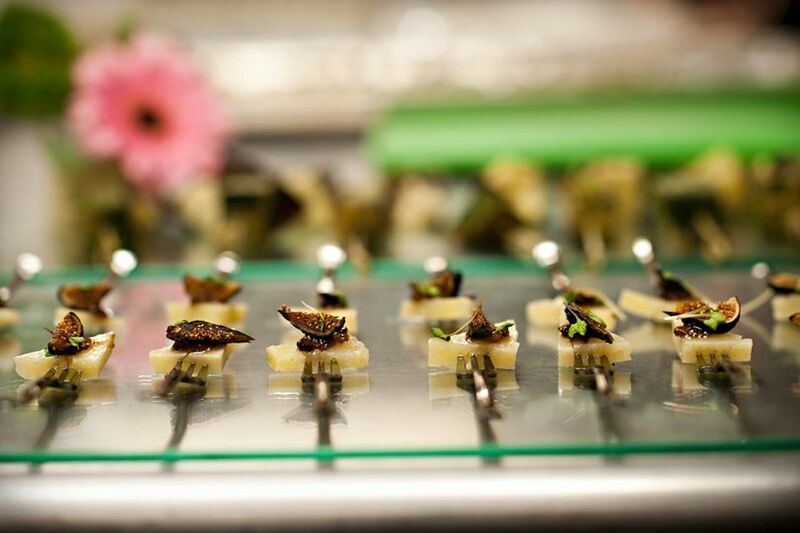 You can choose between hors d'oeuvres, stations, French service, a buffet or a plated dinner. 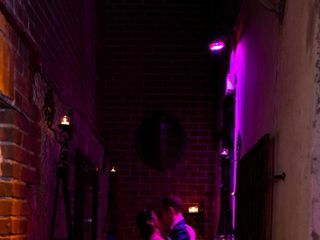 They also offers delicious desserts and mouth watering wedding cake, or you can bring in your own. We just got married at Artesano and could not be happier with our experience here. Throughout the whole planning process Talia and Ivan were so responsive and walked us through the whole process. The day of was perfect. The space is unique and funky. The moment I walked in, I knew we were there to have a good time. Our guests could not stop talking about how good all the food was. Multiple couples who had gotten married already told us that they wish they had known about this location. The menu options are insane - there are so many choices and all the food we had was cooked to perfection. Go see for yourself how great this place was. The staff was so attentive to us throughout the whole evening. We wanted for nothing and wish we could relive that night again and again. 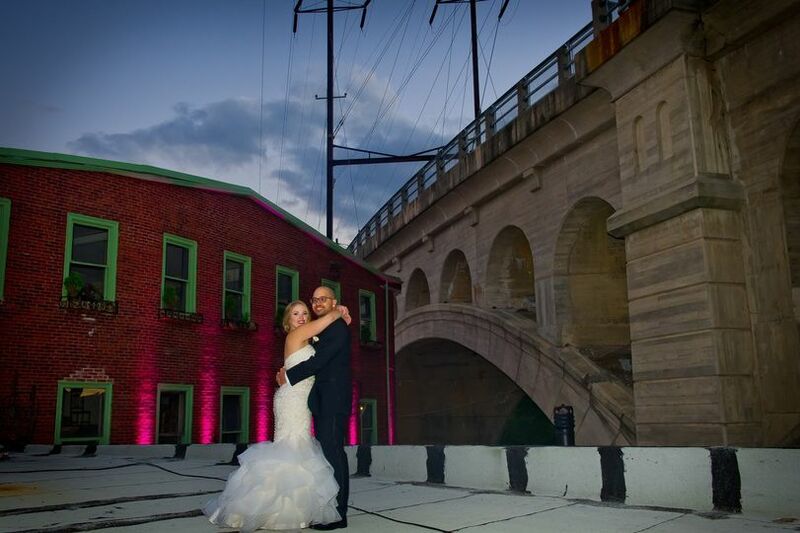 Best wedding venue in Philly! 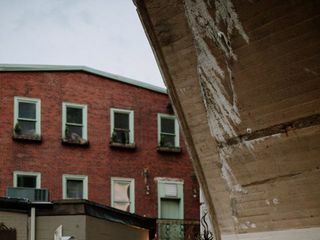 When we began our process of looking for a venue in and near Philly, we found that most places were similar in a lot of ways. Artesano Gallery does not fit that mold at all. 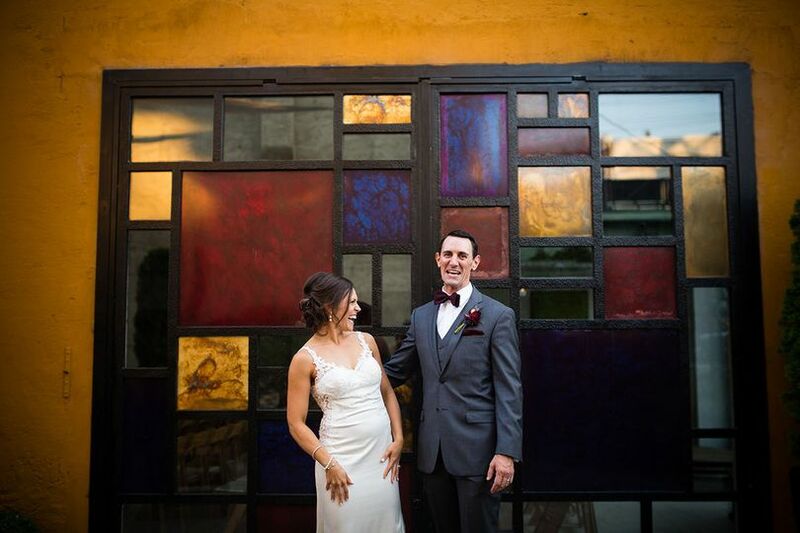 From the moment we walked in, we knew that Artesano was the place we were getting married. We even cancelled another venue visit while we were still there! 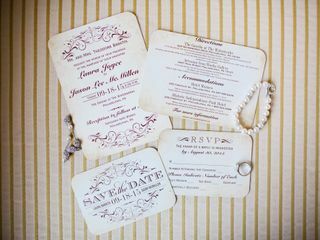 Ivan is not your typical wedding vendor; he will not say yes to all of your requests and he has strong opinions on the space and how the event should flow. 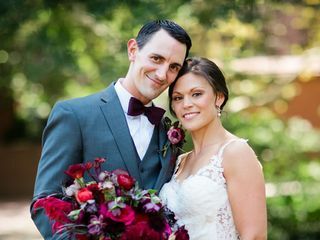 However, we LOVED working with him and really appreciated the wedding wisdom he brought to our planning process (he was right about everything). We did mostly work with Talia and she answered all of our long lists of questions from day one, and kept us on track until the day of. 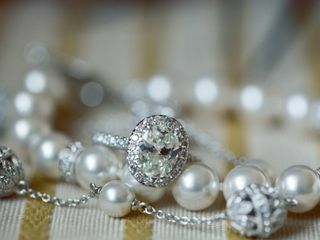 She was really amazing to work with and coordinated everything in a way that kept me relatively stress-free. Our favorite part of the whole night was the FOOD. 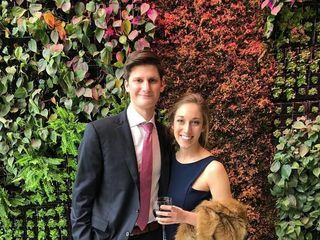 The food was above and beyond any wedding I have ever been to and we have not stopped receiving compliments, especially for the cocktail hour. It's really not fair to other wedding venues how good this food is. 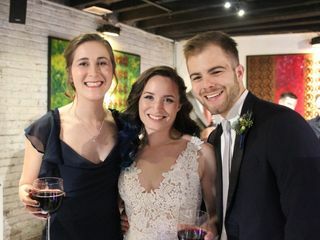 We were initially worried about them only having one bar in each room, but between passed wine and signature cocktails there was never a long wait for our 145+ guests. The staff were all attentive and made the whole night seem effortless and classy. Overall, the whole process was wonderful. My only slight complaint that is not even worth taking off a star is that they don't open the venue more than 15 minutes early for guests without charging an extra fee. 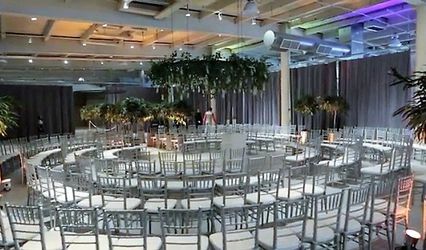 That said, we found everything else to be priced reasonably in comparison to other venues, especially considering all the extras that the venue comes with (centerpieces, hundreds of candles, Ivan's orchids, the living wall, THE ARTWORK EVERYWHERE). 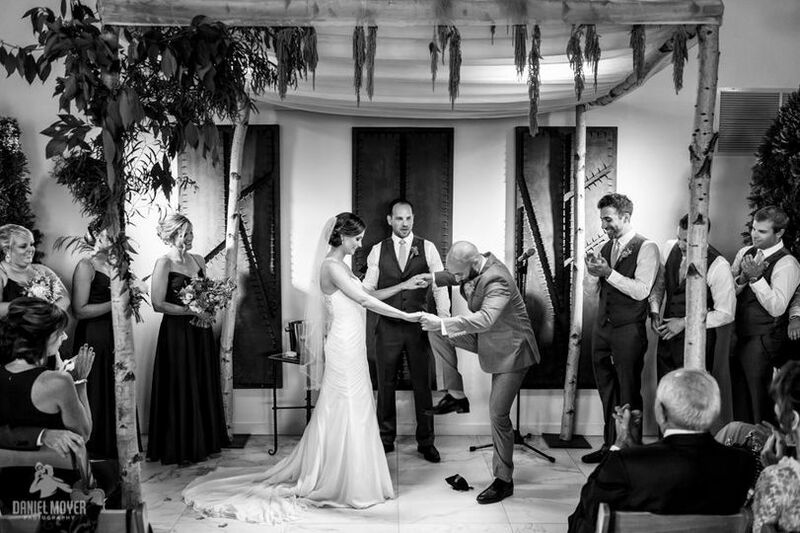 Our wedding was absolutely perfect and we can't recommend Artesano highly enough.